What are the Different Varieties of Customer Churn? Before we dive straight into the matter in question, let a Website Designing Company in Phoenix Arizona AZ aware you of few churn statistics. Churn rate describes the health of your business. So it is important to ensure that your business is taking the right turns to reduce the churn rate and to improve the health of your business. Reducing churn by 5% can increase your company profits by 25-125%. 70% of the times, the reason why customers switch companies has nothing to do with the product and everything to do with the quality of service. If your customer service representatives are not responding to customers over social media, your churn can increase by up to 15%. 82% of consumers have stopped doing business with a company because of bad customer service. 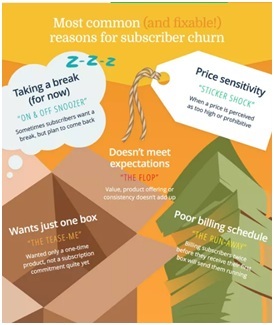 Keep these statistics in mind as we analyze the different varieties of churn. Subscription churn is the percentage metric that calculates the total number of people who cancel your services during a given period, based on the number of people subscribed during that period. For example, if you have 100 customers and 20 had cancelled your services, you had a 20% churn rate. Gross Revenue churn is described as the percentage of your revenue that you have lost during a given period due to customers cancelling, switching or downgrading. Remember customers with low purchasing power are most likely to churn more quickly than the customers with high purchasing power. Net Revenue Churn is the best indicator that determines the health of your business. It is described as the percentage of revenue that your company has lost from existing customers during a given period. For more blogs like these, refer to the blog section of a highly acknowledged website development company in Arizona, Etoile Info Solutions. Author AdminPosted on September 27, 2017 September 27, 2017 Categories SEOTags varieties of churnLeave a comment on What are the Different Varieties of Customer Churn? 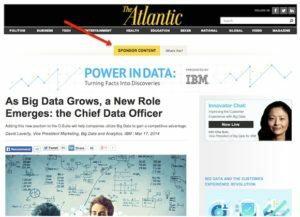 What is Native Advertising and what are Its Types? Etoile Info Solutions has been delivering result-oriented and custom made Seo Services in Phoenix Arizona for a long time now. We know you all must be familiar with the concept of native advertising and what all it entails. But seeing the far end of the sea is not something everybody can accomplish. Native advertising is more than what we all think and this blog is everything “native advertising” and more. Native advertising feels like an extended version of a publisher’s website. Confused? Let’s talk in simple and understandable terms. Native advertising is a form of paid media where the ad experience circumvents around the natural form and function of the user experience in which it is placed. Form: Native ads complement the visual design of the experience they are placed within, and look and feel like natural content. 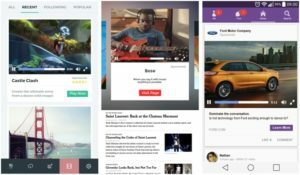 Function: Native ads must work in harmony with the native user experience and the various function so that they look and feel like natural content. The main purpose of native advertising is to look and feel like the content around it, native ads are often difficult to spot. Here are some examples of native advertising to help you understand its different forms. In the image below, you can see native search engine ads are designed to look exactly like the organic search engine results. Twitter’s promoted tweets are another form of native advertising. 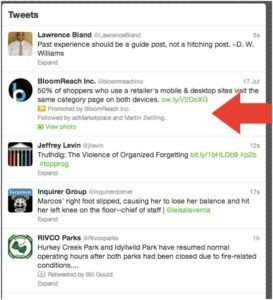 A promoted tweet looks just like any other tweet but is differentiated by the “Promoted by” text. This is the form of native advertising where the promoted posts pop up next to real news in publisher’s new feed. Refer to the image below. In the dictionary of Native Advertising, these promoted posts can be “sponsored” or “branded”. Sponsored: A brand sponsores or pays the publisher to create the content of the ad. Branded: A brand pays the publisher to simply publish the ad. 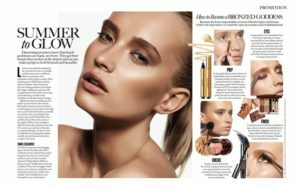 Advertorials are different from traditional advertisements because they are created to give the look and feel of articles appearing in publications. They are editorial content usually created to advertise a brand. Native video ads are focused primarily on education and entertainment. They are generally click-to-play or autoplay (muted) video ads, mostly 30 seconds in length. These can be published on numerous social media channels including Facebook, Twitter, Pinterest, and Instagram; video uploading platforms, such as YouTube; and even the content discovery network like Taboola. To drive higher brand uplift and position a brand’s image in the customer’s mind. 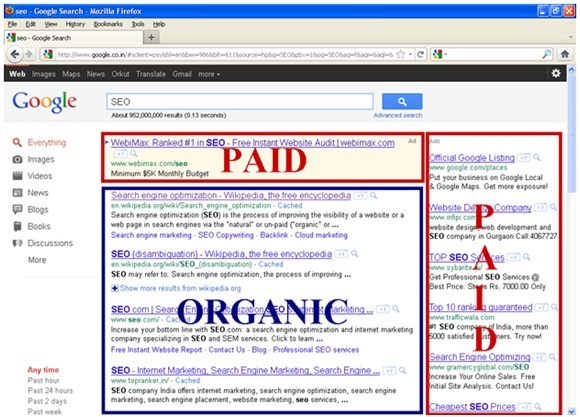 Compelling consumers to take one particular action which can be done through native search engine ads mentioned above. There are two main reasons why one must incorporate native advertising to their arsenal of digital marketing tactics. 1. Native ads grab a lot of attention. 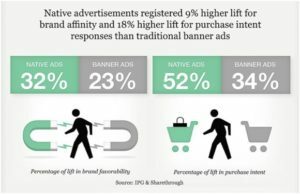 According to a study, 25% more consumers were measured to look at in-feed native ad placements (the most common editorial native ad format) than display ad units. But the question is, WHY NOW? 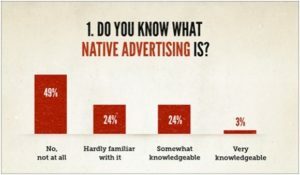 There are still many marketers who are still not able to grasp the concept of native marketing. According to a survey by Copyblogger, nearly 50% of marketers still have no idea what native advertising is all about and only 3% are thorough with the concept of native advertising. So isn’t it this a wonderful opportunity to reap the benefits of a digital marketing tactic your competitor know nothing about? Since websites are literally breathing in an internet world of ad blocking, ad skimming, ad skipping and free ad streaming services, marketers have actually run out of options to make their digital marketing strategy a success or make a niche in the online world. Well, they just need to put in one single extra tactic- Native Advertising. As mentioned before native advertising is a form of paid advertising which resembles the form and function of the content in which it appears. As a Reputed Mobile App Development Company in Phoenix Arizona, the experts of Etoile Info Solutions has curated few reasons why your company should use native marketing. People want to watch and share good content: For all those who still live in a wonderland thinking that people won’t pay much attention to the native advertising, the watch this video Microsoft created to ask users to reconnect with the new Internet Explorer. This native video is an epitome od excellence and did a wonderful job reminding people the perks of being a 90s kid. The video’s 50+ million views are all we need to know what the craze is all about. Consumers don’t want to be JUST sold: According to a research, millennials are very clever in determining when brands are selling to them. And they simply hate it. More than 51% of millennials between the 18-44 years of age feel that branded content has more credibility than traditional advertising. This isn’t something new; you can see this trend everywhere. Young people tend to block ads and they go by the words of influencers than rely on TV commercials. Help spread real ideas: Good native advertising isn’t only restricted to product or service promotion, they are formed to harbor emotions, educate and entertain. This method helps brands to pay attention to the various social issues, make people love and laugh and increase their brand awareness through high-quality content. This is the type of content people want and look forward to. Author AdminPosted on September 5, 2017 September 5, 2017 Categories Branding, e-commerce website design, SEOTags Mobile App Company In Phoenix, Mobile App Development Phoenix Az, seo company in phoenix, seo phoenix arizona, Seo Services In Phoenix, Website Designing Company In Phoenix, Website Development Company in ArizonaLeave a comment on What is Native Advertising and what are Its Types?